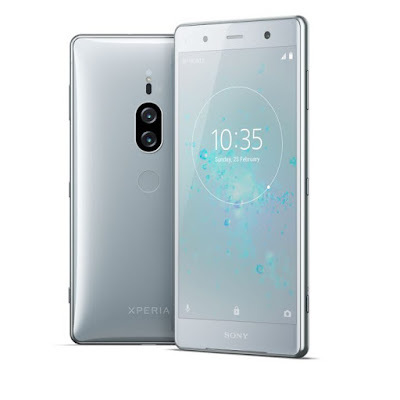 Sony Xperia XZ2 Premium Lunched With 4K HDR Display And Dual Camera. Not long ago after sony unveiled Xperia XZ2, it so amazing and interesting to see Sony once again on the stage this time with the Xperia XZ2 Premium. The phone seems to maintain the same design as the XZ2. But with noticed some upgrades like : display, camera, battery, and other specs. The XZ2 Premium will be available beginning this summer. Pricing has yet to be announced, but it certainly won’t be cheap. The XZ2 runs $800 unlocked, so you’re probably looking at a $900 or $1,000 phone here. Sony is putting a 5.8-inch 4K display in the XZ2 Premium, an improvement over the 5.7-inch Full HD+ (1080 x 2160) screen on the regular XZ2. Both of them support HDR video. When you’re watching videos, listening to music, or playing games, you’ll notice the new vibration system that debuted in the XZ2; it’s meant to provide rumble feedback to match whatever’s happening on screen, but felt somewhat gimmicky in my hands-on time with the standard model. The most interesting feature of the device according to Sony, is the camera. The dual camera system has a portrait feature (which Sony simply calls Bokeh mode) and will let you shoot using only the monochrome sensor for crisp, detailed black and white shots. Oddly, these two features won’t be on the XZ2 Premium at launch but it is expected to arrive in a Q3 software update. Like the XZ2, the Premium can record 960fps slow-mo video at 1080p resolution, an improvement over the 720p limitation on Samsung’s Galaxy S9. Some more upgrades on the XZ2 Premium include RAM (now 6GB), battery capacity (3,540mAh), and a sharper front-facing camera. Other key specs remain the same as on the XZ2. Both phones ship with Android 8.0 Oreo and have a Snapdragon 845 processor inside. Panasonic P101 with 18:9 display launched..Here are specifications. How to monitor your pets and house using DCS-5030L Wi-Fi HD Camera. Google Pixel 2, Best Camera Smartphone. A wireless HDMI transmitter not only eliminates such fears, it also provides an extended operational range with enhanced audio video qualities and freedom of moving your TV sets or projector screen without the tension of moving TV boxes or DVD players along with it.